Stay warm and cozy this winter with this luxurious colorwork cowl knit with our 100% Mongolian cashmere yarn, Xanadu! Designed by Julie Crawford of the Knitted Bliss blog, the Xanadu Snowflake Cowl is knit in the round in a long tube which is grafted together to create a super warm double-knit cowl. 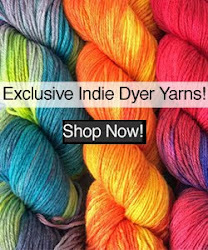 2 skeins of Xanadu yarn, 1 of each color; choose your own color combination, or opt to purchase the colors shown here, Natural Cream and Mocha. 1 print copy of the Xanadu Snowflake Cowl pattern by Julie Crawford. A three-pack of stitch markers by Purrfectly Catchy Designs. 3 allure sample packs, 1 of each fragrance. 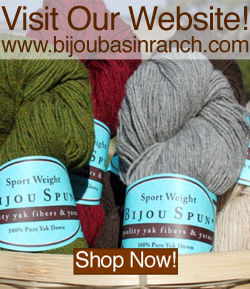 1 Bijou Basin Ranch project bag. Retail cost of kit would be over $92 (plus shipping), but we are offering this kit for only $83, which is a 10% savings - plus, we'll also throw in FREE shipping! 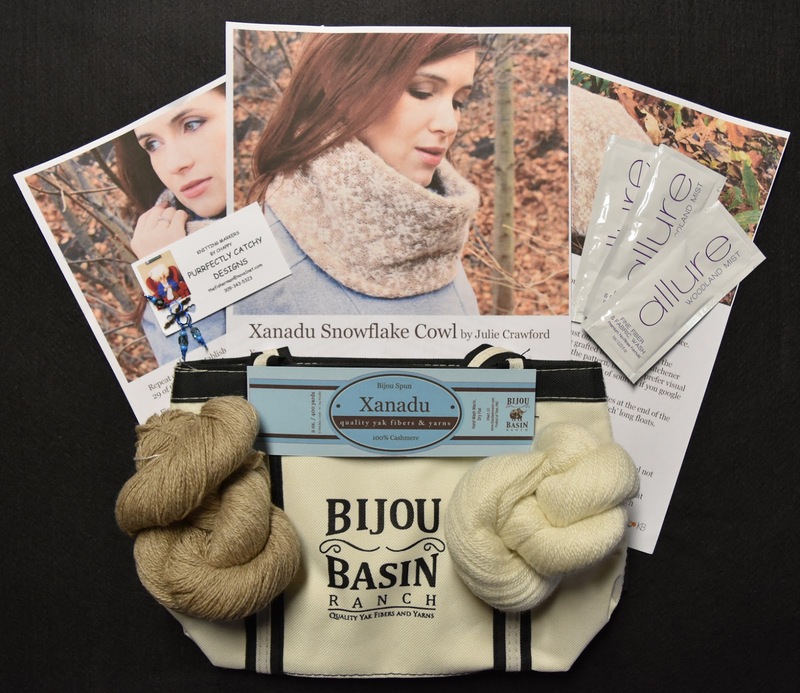 Click here to purchase a Xanadu Snowflake Cowl kit while supplies last!